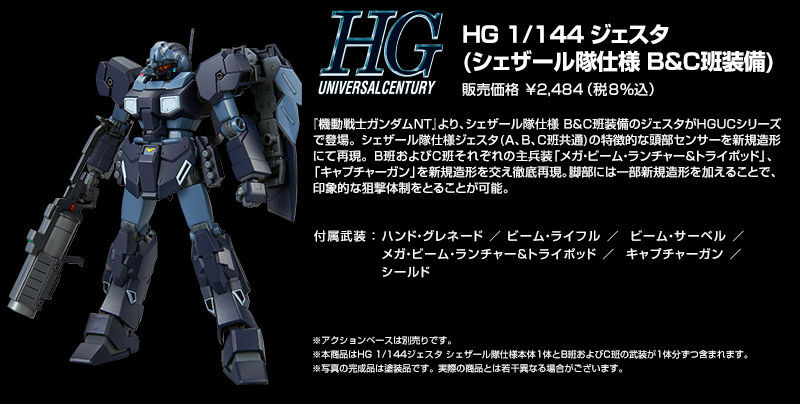 From "Mobile Suit Gundam NT", Jesta of "Schezar squad B team equipment and C team equipment" appeared in the HGUC series! 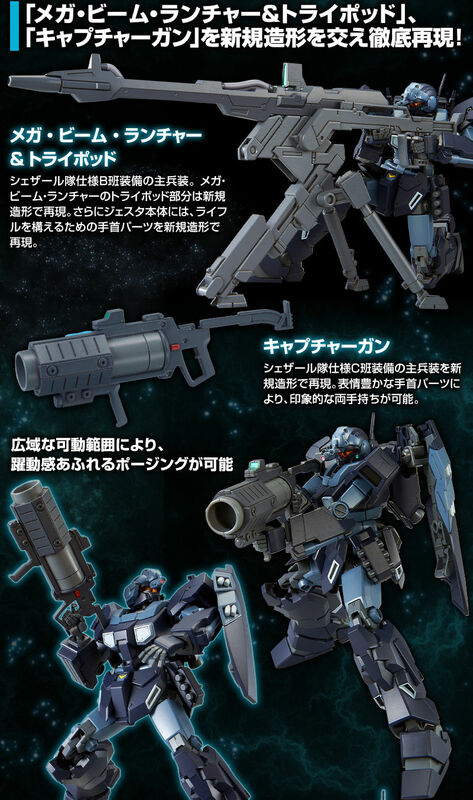 Characteristic head sensor, B main team and C group specification main weapons "mega beam launcher & tripod"
"Capture gun" thoroughly reproduced with new modeling! ● Jesta Schezar Corps Specifications B & C Group equipped with aircraft shape equipped with new shaping thoroughly reproduced! The head sensor and some leg parts are three-dimensionalized with new parts. Faithfully reproduce the Jesuta of the Schezard team specification. The sensor of the Jesta Schezart team specification (A, B, C group common) is reproduced by new modeling. In order to make the sniper system possible, some leg joint parts are reproduced by new modeling. Up range of the legs up. 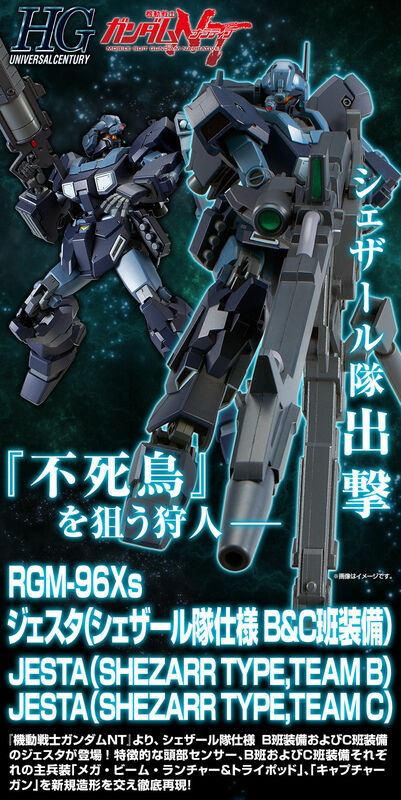 ● "Mega Beam Launcher & Tripod" and "Capture Gun" are reproduced thoroughly with new shaping! The main armament equipped with the Schezar B team. The tripod part of mega beam launcher is reproduced by new modeling. 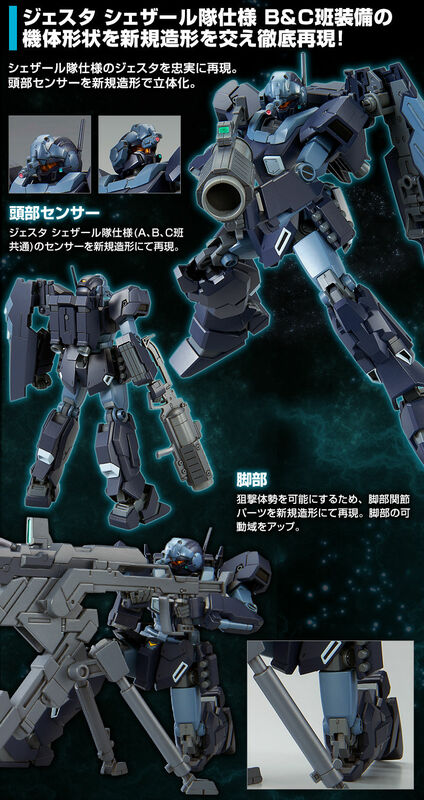 Furthermore, in the main body of the Jesta, a wrist part for holding a rifle is reproduced by a new modeling. The main weapon equipped with the Schezar team specification C group is reproduced by new modeling. By expressive wrist parts, impressive two hands are possible. 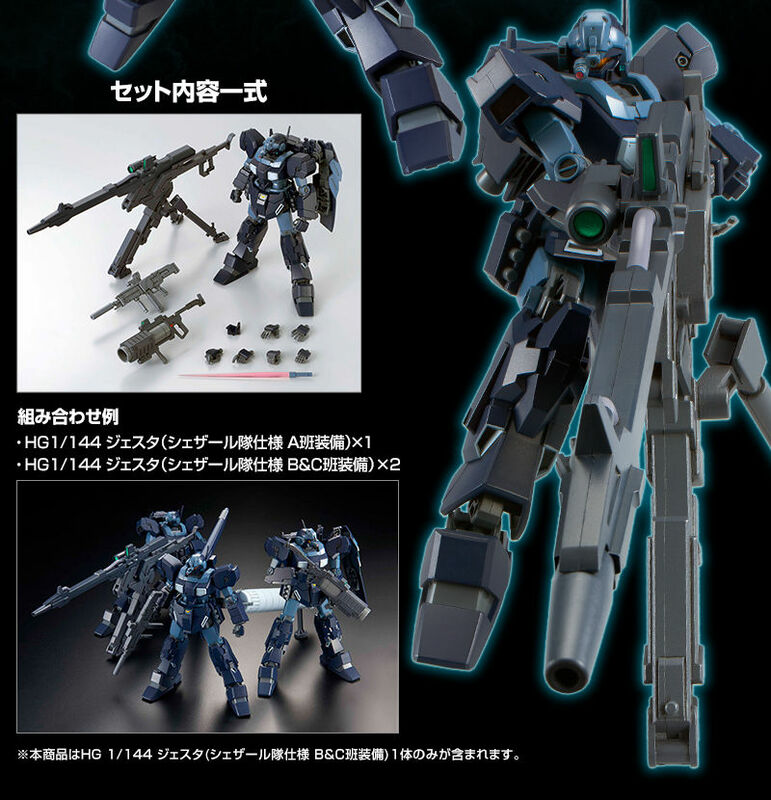 ※ This product comes with "MS main body" 1 body and "B team and C team" armed types.